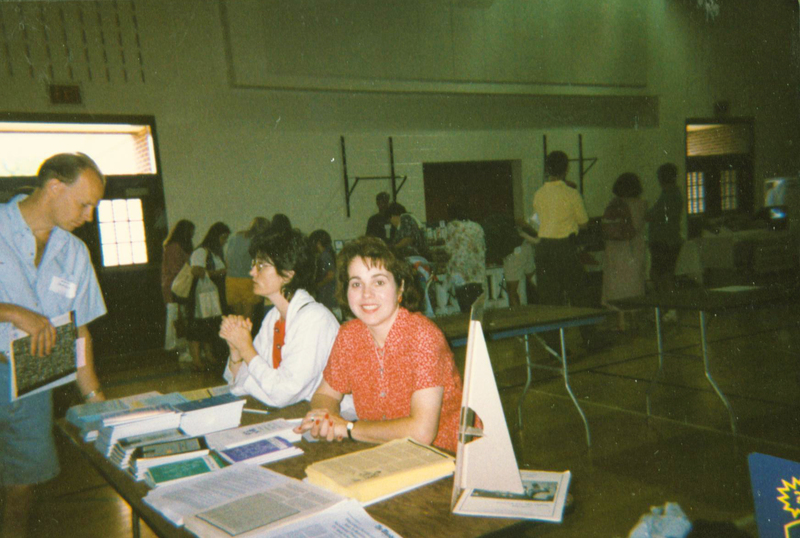 In 1983, the newly created Seton Home Study School boasted only 50 students. Just ten years later, Seton already had a total enrollment of 4,500. Today, there are over 12,000 enrolled students, an additional 25,000 students who use Seton materials, and a total of about 50,000 students using Seton Testing Services. Seton’s explosive growth has been staggering, and to many observers, it has been puzzling. What led so many parents to take up the task of teaching their children at home? Why did they flock to Seton specifically? In the 1980s, Catholic parents, who were faithfully trying to pass on the Catholic Faith to their children, faced a very frustrating situation. As the moral standards of society at large continued to decline, public schools became more and more toxic to a solid Catholic upbringing. The long established Catholic schools seemed less interested in teaching Catholic doctrine. Indeed, with the exception of religion class, almost all of the Catholic textbooks had been removed from Catholic schools. Parents had trouble finding schools where talk about the Faith wasn’t limited to a one hour once a week. The few Catholic books that remained were often unrecognizable. Several large Catholic publishers drastically changed their textbooks and catechetical materials. They removed much of the doctrinal focus from religious education materials and turned the focus on the experiential aspects of the Catholic Church and the feelings evoked by the stories of Jesus. Parents were angry. The Code of Canon law states, “Since they have given life to their children, parents have a most grave obligation and possess the right to educate them. Therefore, it is for Christian parents particularly to take care of the Christian education of their children according to the doctrine handed on by the Church” (Can. 226 §2), but parents needed help! Taking on the task of providing a truly Catholic education is daunting, particularly if you feel that you don’t have help. Another factor that angered parents was the introduction of sexual education classes into most public schools and even some Catholic schools. In the worst cases, there were horror stories of teachers showing actual pornographic videos in class. In nearly all cases, however, teachers covered explicit topics well outside of what Catholic parents felt was acceptable or appropriate. Many parents banded together to form small parent-run schools, where they could have more influence over what was being taught to their children. One such school was started in Northern Virginia by Anne Carroll, the wife of Christendom College founder, Dr. Warren Carroll. Seton School prospered, but it was only able to serve the families who lived close by. Many other families heard of Anne Carroll’s good work and wanted a Seton education for their children as well. Thus, Seton Home Study School was born in 1982. It would be wrong to assume that everything was idyllic and perfect in the 1950s Catholic school system before the changes that angered parents. Perhaps there wasn’t enough emphasis on truly understanding and assimilating catechetical information. However, many of the textbooks and materials that were in those schools were top-notch and very Catholic. Books such as the Faith and Freedom readers, Schuster’s Bible History, Sadlier’s How Our Nation Began series, and, of course, the Baltimore Catechism, gave students a superior academic and catechetical formation. Seton Home Study School’s first task was to preserve these great treasures. Anne Carroll realized that not only did homeschooling have huge potential, but running the Home Study School was going to be a huge task. 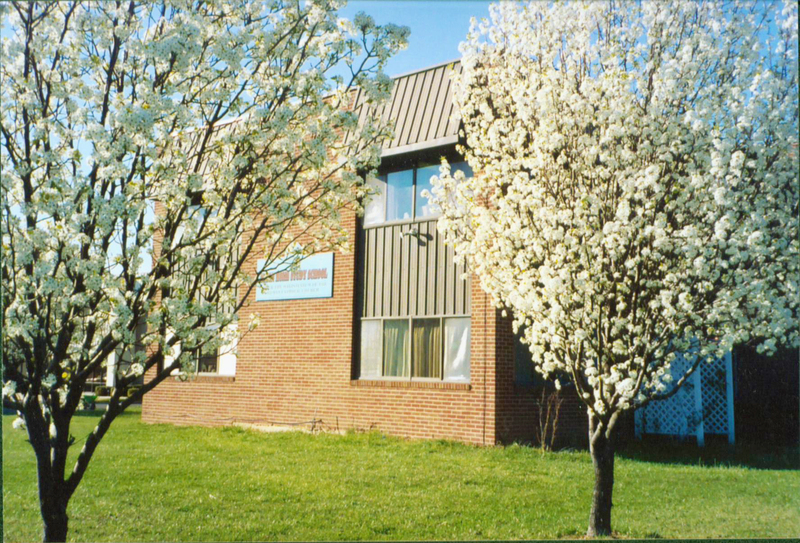 Dr. Mary Kay Clark was chosen to become the Director, and Seton Home Study School became a completely separate school, moving its headquarters to Front Royal, VA, where Christendom College was located. 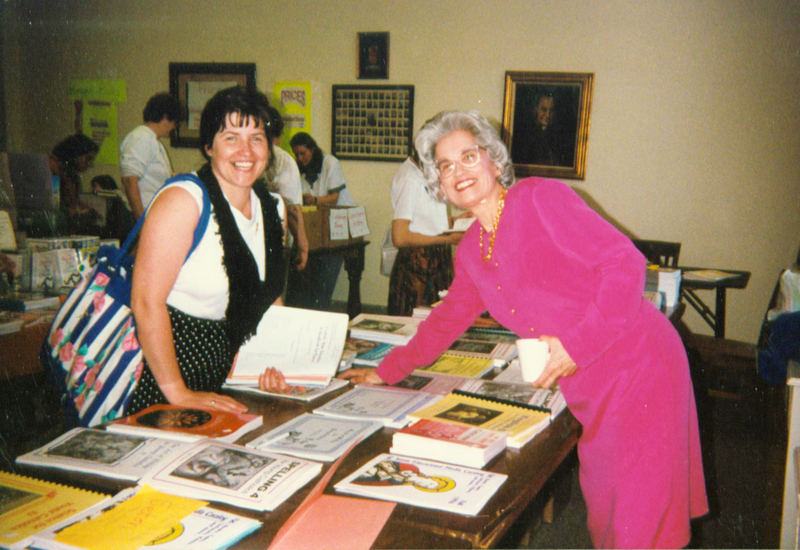 Buying up available copies of solid Catholic textbooks, and spiral-binding some photocopied texts of out-of-print books, for the first ten years or so, Seton was only able to rent out school books. At the end of the year, families would have to send back not only all the lesson plans, but nearly all of the books as well. 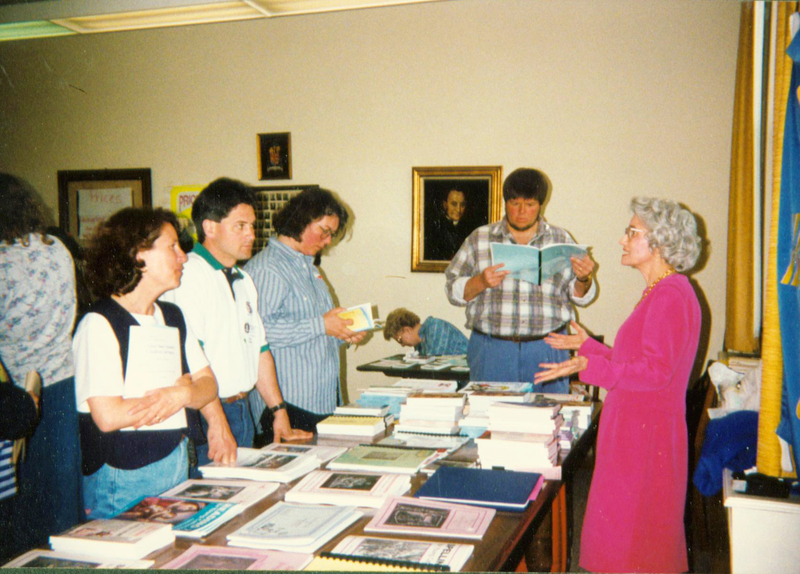 With thousands of students enrolling each year, and a clear market for new Catholic textbooks, Dr. Mary Kay Clark decided that Seton needed to not only preserve great books, but to start creating and writing authentically Catholic textbooks. Starting out with easier workbooks like Spelling, black and white copies of Seton Press workbooks began to re-shape the curriculum. The other Catholic company that was a major help to homeschoolers was TAN Books. TAN was re-printing some of the older textbooks, and even some new ones like Anne Carroll’s high school history texts, Christ the King Lord of History and Christ and the Americas. 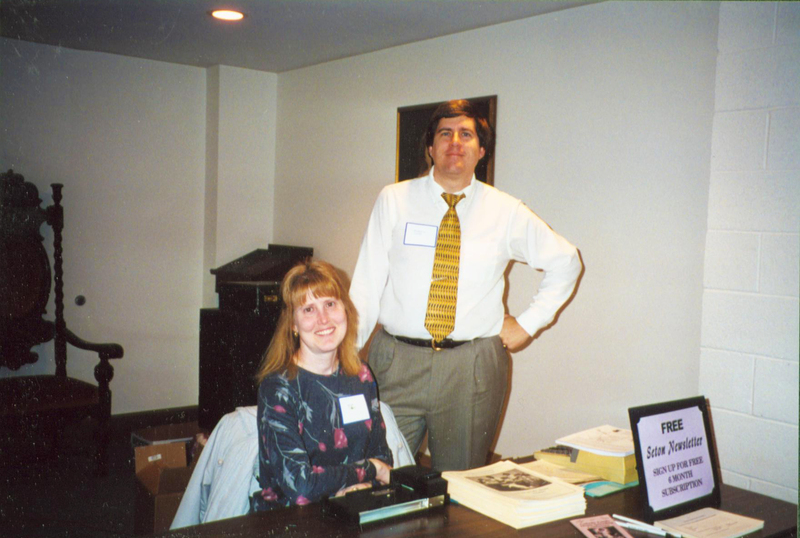 Ken Clark (Seton’s CFO and Dr. Mary Kay Clark’s eldest son) had the desire not only to provide solid Catholic books, but to produce a superior product in terms of modern and professional quality and design—which at the time meant making the investment to print books in color. The decision was also made to sell the newly published books instead of using them exclusively in the school enrollment. That decision resulted in slowing the growth in school enrollment, but ultimately increased the number of students Seton was able to help threefold. The very structure and business model of Seton is something which has greatly contributed to its growth and success. Seton is an apostolate. It is not a business in the traditional sense. Because Seton is a registered non-profit, it doesn’t have to answer to shareholders, charge extra for its services, or siphon off funds in the form of dividends which it could otherwise use to grow. The fact that Seton is an apostolate also accounts for the motivation and dedication of its staff. Almost all of the employees could be earning substantially higher salaries in the private sector of Northern Virginia’s booming economy, yet a greater goal than money spurs on the Seton staff. Coming to work each morning is easy when you believe that you are truly helping families and helping the Church. Seton, however, isn’t like many other non-profits. Seton doesn’t exist year to year depending upon the whim of big donors. Although Seton can accept donations, and indeed is able to use that money very effectively to help families, the apostolate is very stable because it is self-sustaining. It enjoys the best of both worlds. Business models and historical circumstances aside, great events are shaped more by individuals than by impersonal forces. Even the casual observer can see that Seton’s growth, although first and foremost a blessing from God, was brought about by the incredible passion and perseverance of Dr. Mary Kay Clark. In the early days of Seton, it was advertised that phone counseling was available from 8am until midnight. Did two shifts of counselors come in to man the phones? No, those were just Dr. Clark’s hours, and she figured that she would answer every phone call personally if no one else was in the building. Even to this day, she keeps incredible hours (7 days a week) and works tirelessly to perfect Seton’s curriculum, essentially doing the work of three people. In addition to the sheer amount of work Dr. Clark does, it has been her steady and firm commitment to making the curriculum authentically Catholic which has so clearly marked Seton’s mission. Dr. Clark, and indeed the entire Seton staff, have been striving to provide a Christ-centered, academically strong program designed to help Catholic parents fulfill their calling as the primary educators of their children. 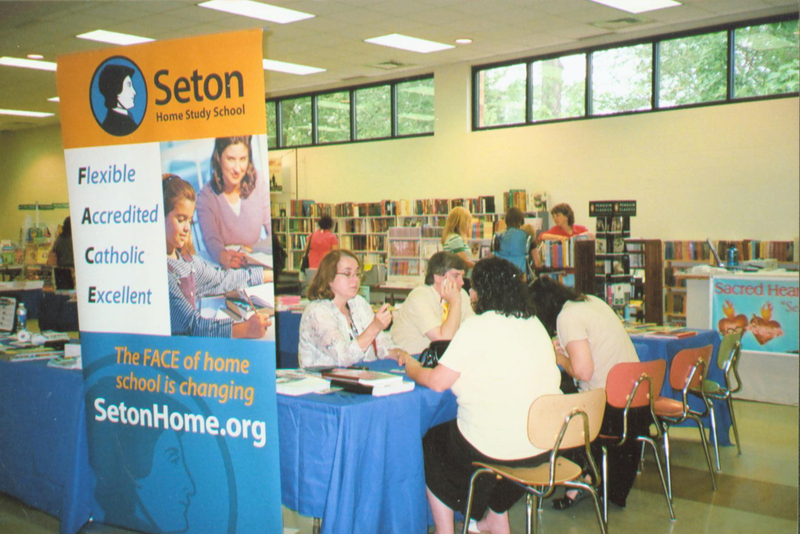 Seton Home Study School has grown so incredibly over the years because there are tens of thousands of parents willing and able to take up that responsibility and want to provide the very best in Catholic education for their children.